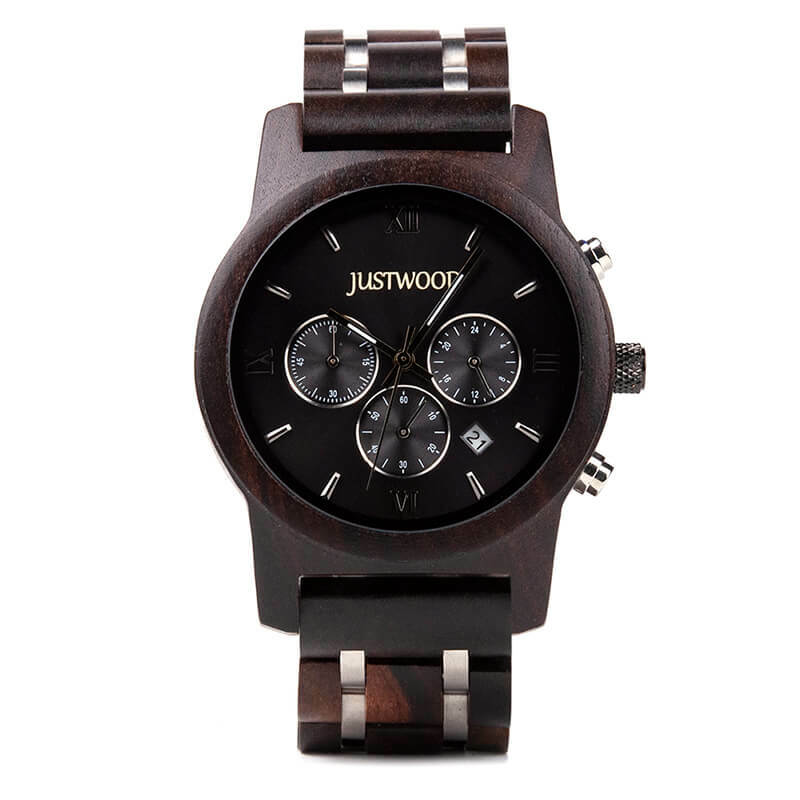 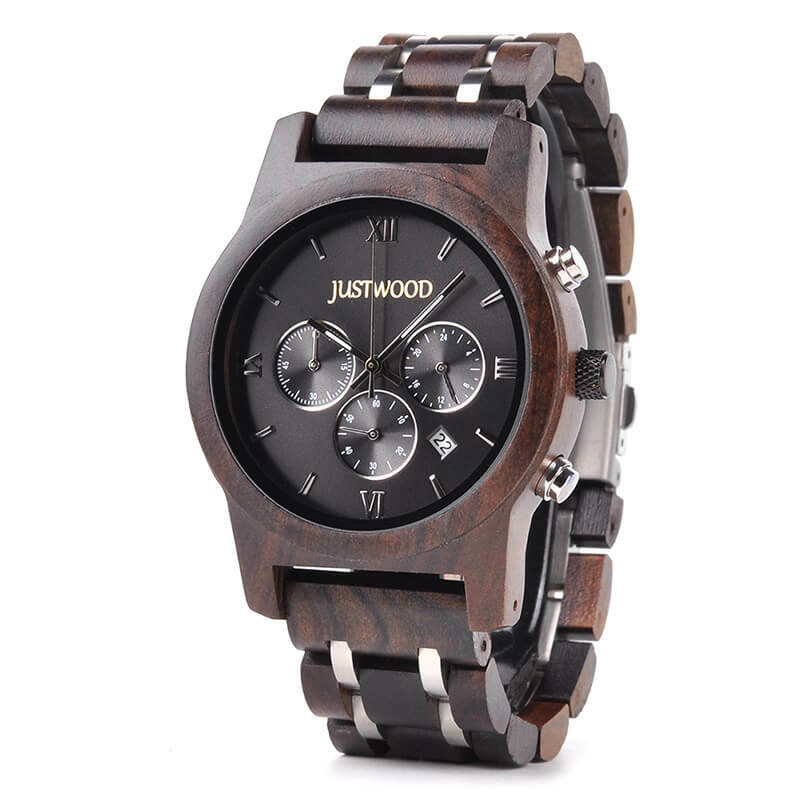 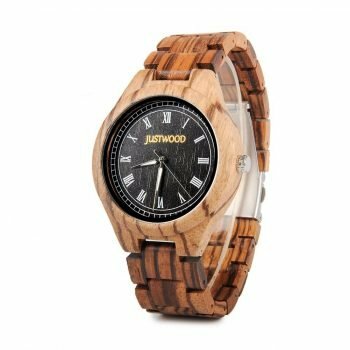 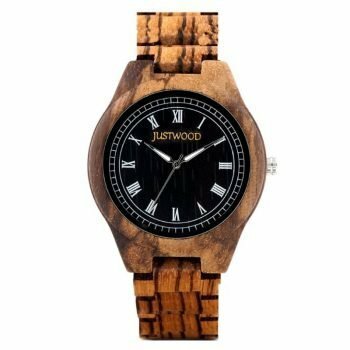 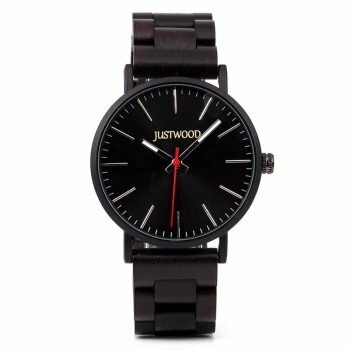 The JUSTWOOD Vogue Hercules is one of our most modern ‘on-fleek’ models designed to capture classic analog watch characteristics and combine them with an industrial look, polished black dial. 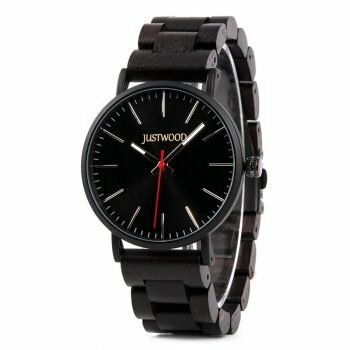 The addition of steel ‘micro’ links between the Ebony Wood band links really make the design come together to create an outstanding, visually appealing watch that’s a little quirky without being too ‘over the top’. 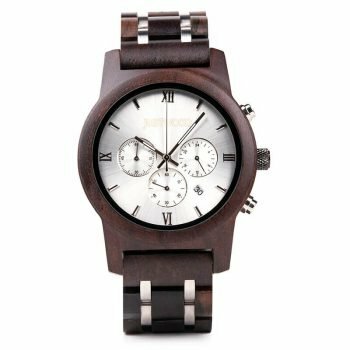 The Hercules watch dial features a 3 micro dial display consisting of a 24hr dial and the other 2 dials making up the analog stop watch (one displays ‘seconds’ and the other displays the ‘minutes’ passed). 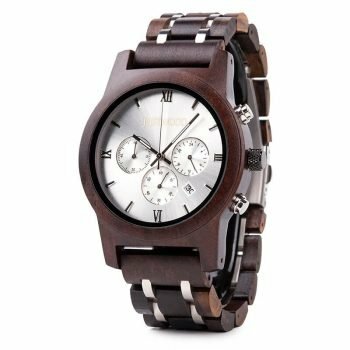 The stop watch also features the ‘split’ function allowing you to stop and record the time and then resume without loosing the time that has elapsed.